All our rooms are fully equipped with a king size bed (180x200, a wardrobe and a flat screen TV. Each room has an en-suite bathroom or shower room, complete with double sink and separate toilet. Bath products, towels, hairdryer are at your disposal. Room "Dune" can be changed to accomodate either 1 king size bed or 2 single beds (90x200) to suit your needs. 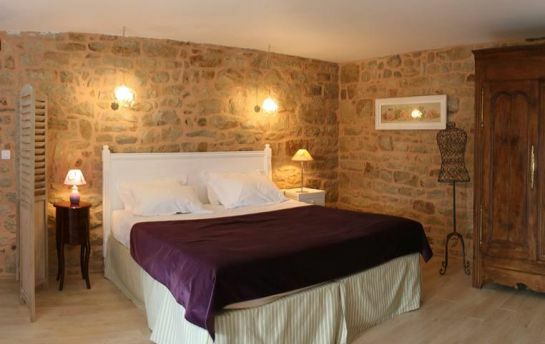 An additional single bed 80x190 is available for a third guest. To welcome our guests, we have prepared a hospitality tray, including seasonal and regional products and refreshments. A charming place to stay, private parking, between Lorient and Vannes (near Carnac and Quiberon) ideally situated in Southern Britanny, close to the Golfe du Morbihan and the Ria d'Etel. Start the day with a good breakfast ! You have a wide choice of sweet or savoury food like breads, croissants, homemade jams and yoghurts, a good natural apple juice, fruit salad, cheese, ham... Or you may want to try the delicious homemade breton buckwheat crêpes or cake ! Breakfast is served in the dining room or on the terrace. You are also welcome to take some time to relax in our sitting room, lovingly furnished with family furniture passed down generation to generation. Books are at your disposal to help you discover our prehistorical sites like Carnac. Welcome to our family home the Clos du MènAllèn, where you can enjoy the country life by the seaside. Relax in this peaceful place, near the beautiful Erdeven beaches and megalithic sites. 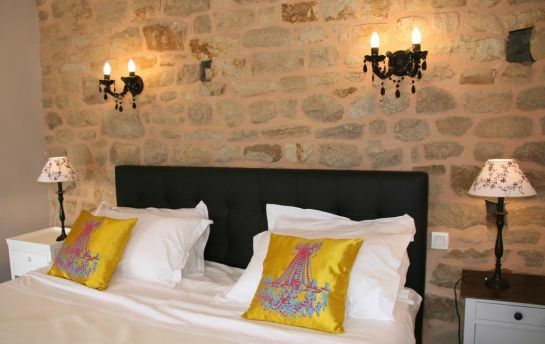 The guest house is a old farmhouse owned by the same family for three generations, located in the town centre of Erdeven. The stone walls of the enclosed garden offer privacy and the enjoyment of a heated swimming pool, after visiting beautiful sites such as Carnac, Quiberon or Belle-Île-en-mer. 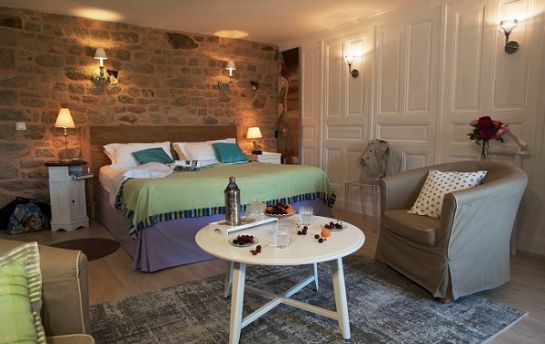 Better than a guest house, the rooms are spacious and comfortable, decorated with care and refinement. Come to experience the elegance and charecter of this charming place. Breakfast is served in the dining room or on the terrace in the courtyard or garden. In a secluded area at the rear of the house, a heated pool is at your disposal from June to September. You can also enjoy the sunshine on the terrace, protected by the garden stone walls. TAKE ADVANTAGE OF THE DIRECT OFFER. All spaces of guest house are strictly no-smoking. 1 extra bed (80x190) or 1 Cot on request only for "Dune"
Open all year round : reservations by phone, e-mail, online, confirmed with 30% deposit by credit card payment. The outstanding balance is settled upon arrival. 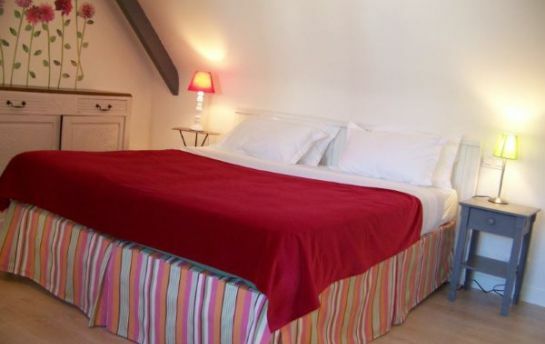 Bed & Breakfast "Le Clos du Men-Allen"